New Year in the Los Gigantes area. 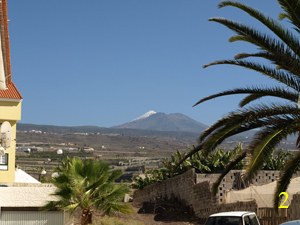 High winds and heavy rain was forecast for the Canariers over the Christmas and New Year holiday. 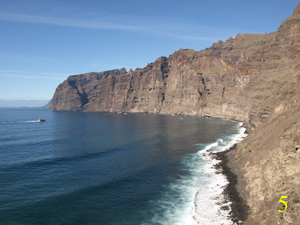 The Los Gigantes area had its fair share of rain and many had flooded terraces to cope with but fortunately Christmas day was mild and sunny, although the sea remained rough. After a few more days of high winds and rain our luck was in once again as on New Year’s Eve it was very mild with a cloud free sky, and there has hardly been a cloud in the sky since. 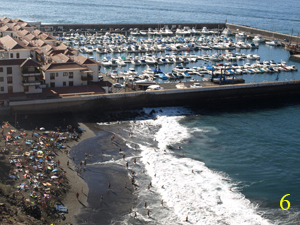 The Los Gigantes Plaza on New Year’s Eve was heaving as everyone forgot the current crisis and enjoyed the evenings celebrations, many dancing until dawn. 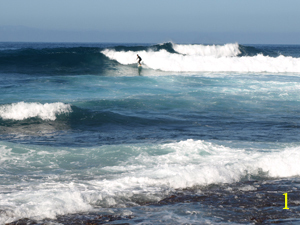 The continuous rough seas and high swell delighted the surfing enthusiasts at Punta Blanca but has been a disaster for all the dive centre owners and whale/dolphin trip organisers who had hoped the Christmas busy season would boost business in this time of crisis. The warm sunny weather brought many people out and on to the beaches for a last minute panic tan before the end of their holiday. 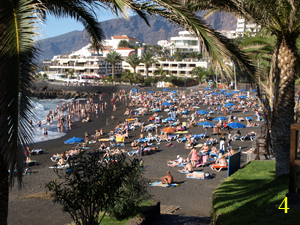 Playa arena beach was packed and many chose to ignore the red flag to have fun in the waves. The life guard’s job was made very difficult as people ignored his whistles and shouts. People really don’t understand that it is for their own safety as the undertow can be treacherous and many over the past years have not lived to tell the tale. Below are views of the area taken on New Year’s day.